Right now, Wellington has been on fire! It seems like everywhere you go, there are amazing and exciting events, food, clothes, experiences. We are owning it - hard out! I wanted to share a curated round up of some things which have caught my attention. Alice Brine is my friend and in no way will I pretend I am not biased as hell. But really - she is VERY funny. She just received rave reviews about her newest show 'No One Puts Briney In The Corner'. I was lucky enough to go along on opening night on Tuesday and honest to God - the hype is real. Alice is basically the friend at school who was a total crack up. This year, she has evolved from 'Brine Storm' - her offering last year at the Comedy Festival. She's funnier than ever and a little bit more "polished" (for someone who talks about everything imaginable) in her presentation which means you'll be rolling in the aisles. She has sold out now!!! But make sure you watch her! There are four new shows at City Gallery Wellington to check out. I went along on opening night and was blown away by what was on offer. The shows are 'Colin McCahon: On Going Out with the Tide', 'Petra Cortright: RUNNING NEO-GEO GAMES UNDER MAME', 'Shannon Te Ao: Untitled (McCahon House Studies)' and 'Martino Gamper: 100 Chairs in 100 Days'. All the shows are unique and span everything from painting to sculpture and more. Make sure you find time to go and check it out. Artist Petra Cortright - I liked her outfit. Whittaker's chocolate is always on hand in my house. We just seem to pick it up 'accidentally' - whereever we go. Right now I'm really loving this new collab with Whittaker's own Toffee Bar. It's like a mix of caramel popping candy and their famous 5 Roll Dairy Milk. It's a really easy, yummy flavour and I just can't get enough. I'll have to stock up because it's Limited Edition. Who else is loving it? Look for it at various supermarkets and dairy's nationwide. I love Caughley and know that Rachael (the owner) picks great stuff. I popped in today and really fancied these beautiful boots by Chaos and Harmony. Can a girl ever have too many ankle boots? Nahh......amiright? If you follow me on Instagram, you'll know I recently had a work mate who left - and we gave her a cake from Tomboy Black! It was the funniest and most delicious thing! Tomboy is a great cafe and bakery on Marjorie Banks Street. Kate, the owner, has started Tomboy Black as an accompaniment to her pretty cakes. Just as tasty, Tomboy Black Cakes say the things you wouldn't dare - cakes iced with any rude thing at all! Only in Wellington! Moore Wilson's have great blooms right now. Make sure you go and pick yourself up a bunch, just because. 7. Our QT High Tea! Wow! So some epic friends of mine and I decided to do a Pink Ribbon High Tea and it sold out in 3 days!! Those friends are listed below (but so you know they're Wonderland PR, Empower Yoga Studio, Yoga With Me, Good Buzz Kombucha, The Glow Getter, Wilson Trollope and QT Hotel). Make sure you keep an eye on the Facebook Event for more updates and some cool fundraising. Very amazed and grateful. What's been the biggest thing in Wellington lately do you think?? Tell me below! If you want more cool stories about Wellington and exclusive snapshots of life in the city, subscribe to the blog (above), follow onYouTube, Instagram, Twitter and add me on Snapchat (residents_welly). When there are no words. Written the weekend that the Christchurch mosque shooting happened in New Zealand. A monthly newsletter sent out the second Tuesday every month dedicated to leveling up your life, mind and habits, plus a handy round-up of my recent blogs. Say hello to living a chilled small city lifestyle. 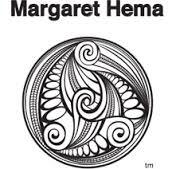 "I was introduced to Margaret and her oils in Wellington while making the Lord of the Rings. How lucky I was. © Lucy Revill. All Rights Reserved.